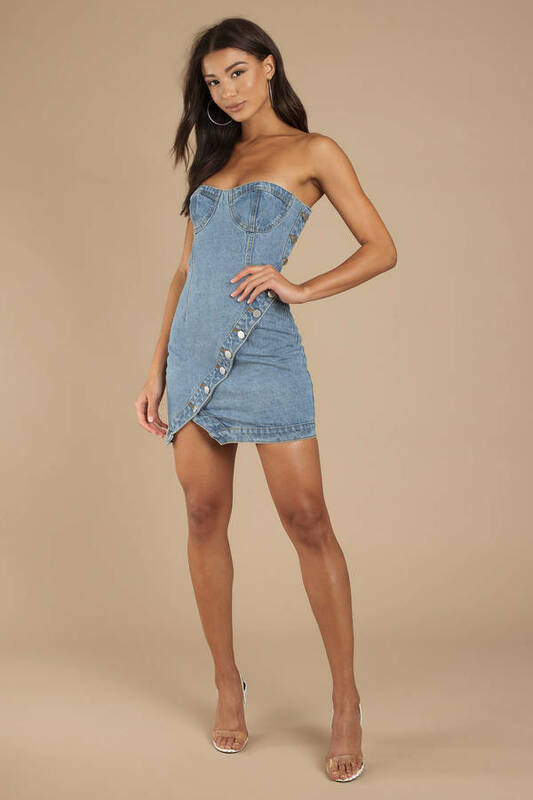 Check out Tobi's Ceres Bodycon Wrap Denim Dress When you want to make an appearance at that hot new place, throw on the Ceres Bodycon Wrap Light Wash Denim Dress. 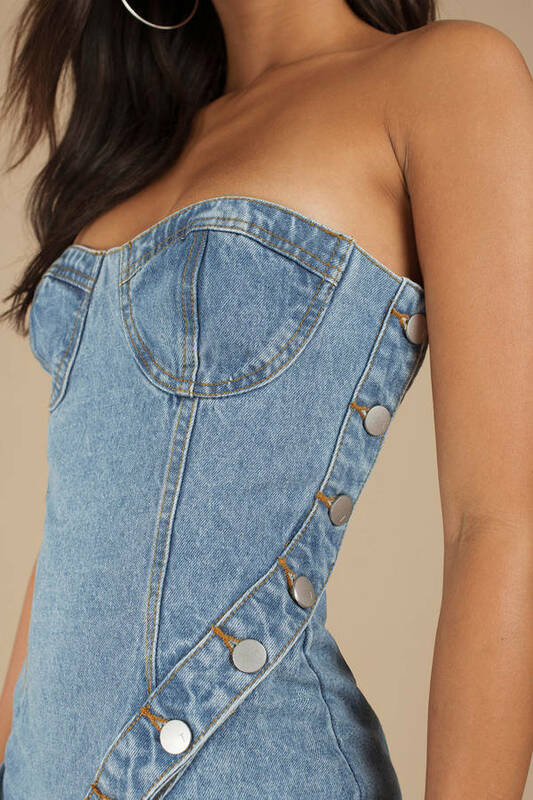 This strapless mini dress has some irresistible combos, featuring a bustier construction with button up detail that wraps beautifully in the front. This short denim dress will look stunning with open toe heels. 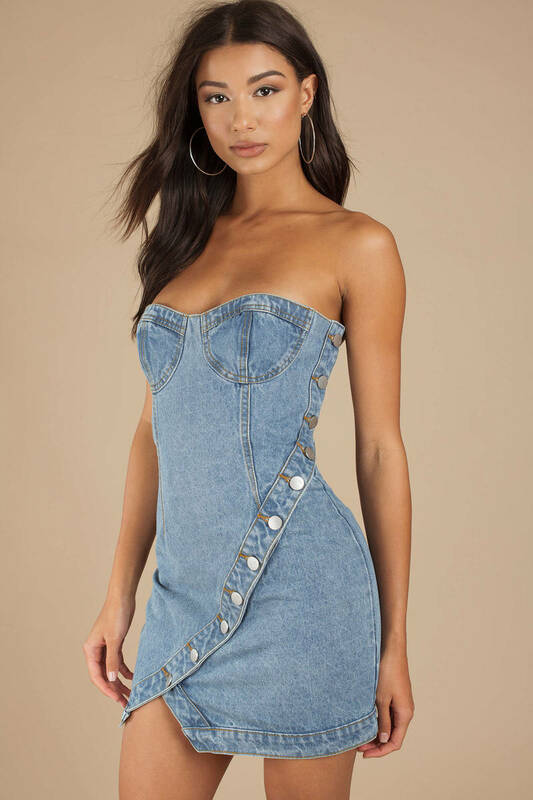 When you want to make an appearance at that hot new place, throw on the Ceres Bodycon Wrap Light Wash Denim Dress. This strapless mini dress has some irresistible combos, featuring a bustier construction with button up detail that wraps beautifully in the front. This short denim dress will look stunning with open toe heels.